Ontario's Wilderness Region gives you access to James Bay, where you can encounter polar bears and beluga whales. Float plane trips provide access to areas most people, and most Canadians, don't have the privilege to see. Mining, including historical gold rush towns, are part of this region of Ontario. For example, you can take an underground visit of the Timmins Gold Mine Tour. Timmins' most famous daughter is Shania Twain. The Museum of Northern History in Kirkland Lake display's the region's history of mining, geology and wildlife. Cochrane Ontario offers the Polar Bear Express train ride down the Arctic Watershed through forests, past lakes and tundra to James Bay. 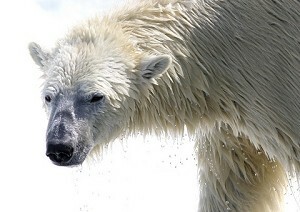 Cochrane also offers the Polar Bear Conservation and Education Habitat and Heritage Centre. Ontario's Wilderness Region's accommodations include hotels, motels, bed and breakfasts, campgrounds and resorts. Located off Highway 11, this Cochrane property features a sauna, jacuzzi, and an on-site restaurant. All rooms include a refrigerator. Each accommodation includes satellite TV and individual climate control. Classic guest rooms and Igloos are available. Guests can store their snowmobiles in the heated garage. A driving range and a gym are also available for guests. We are located in the heart of Cochrane, Ontario near the Trans-Canada Highway, this award winning hotel provides guests with convenient access to a variety of activities including the #1 snowmobile trails in the world, swimming, fishing, golf, hiking and camping. This Cochrane motel is located along Highway 11. The pet-friendly property features an on-site restaurant, a seasonal hot tub & sauna, and free Wi-Fi. Guest rooms offer a cable TV. A microwave and a mini-fridge are equipped in each room. The rooms include a small seating area and a telephone with wakeup call service. A computer is located in the lobby for guest use. Take advantage of the modern amenities at this lodge in Cochrane, including a hot tub and sauna, express parking, in-room mini-refrigerators and microwaves, an onsite restaurant, meeting facilities, and free parking for any size vehicle. We are located just five minutes from the downtown area and the Ron Morel Memorial Museum, a railroad museum that is housed in two passenger cars and headed by CNR Engine 5107. This Kapuskasing hotel is minutes from the Kapuskasing Golf Club and the Northern College of Applied Arts and Technology. 100% Smoke-free. Free breakfast. Indoor pool, whirlpool & fitness room. Free wireless Internet. Meeting space. Coin-operated guest laundry. 32" Cable TV. All rooms with microwave, fridge, coffee maker & hair dryer. Children 17 & under stay free with adult. Free local calls. Fax/copy service. Truck/bus parking. Govt, sports, groups, corp, senior & CAA/AAA rates. Pets OK.
We are located near the Museum of Northern History at the Sir Harry Oakes Chateau. Additional nearby destinations include the Hockey Heritage North interactive museum, the Northern College of Applied Arts & Technology Kirkland Lake Campus, Kirkland Lake Shopping Centre and Joe Mavrinac Community Complex. The Kapkigiwan Provincial Park is just minutes away. This hotel in Timmins is close to shopping and walking distance to attractions. Indoor swimming pool, 24-hour fitness center, business center and meeting spaces available. Included in every stay is a free hot breakfast and free WiFi in every room. At this hotel in Timmins, guests enjoy complimentary hot breakfast. Stay connected with lightning fast Wi-Fi and 24-hour business centre. Take a dip in our indoor heated pool or keep up with your exercise regimen in the 24-hour fitness centre. 100% smoke free with 108 guest rooms, all with mini-refrigerator and microwave. This pet-friendly hotel in Timmins offers free hot breakfast and daily paper. Enjoy free coffee any time as well as free WiFi internet access. Enjoy the heated indoor pool, soak in the hot tub, and stay active with a workout in the fitness center. There is a laundry service, a business center with copy and fax service, and free parking. This Timmins Inn has 106 Guest Rooms, including 5 Office Suites, 3 Jacuzzi Suites and a Family Suite. Mini refrigerators and microwaves are available in every room. Timmins Square is an 8-minute walk from the inn. Downtown Melrose Gardens is less than 7 km away. Features free Wi-Fi and a daily continental breakfast. Each room has a flat-screen TV and a kitchenette. Our Timmins hotel is located at the corner of Highways 101 & 655, just minutes away from the Timmins Airport. All our rooms have 27" TV's with cable, fridges, hair dryers and coffee makers. We offer free SuperStart Breakfast in the morning with a free newspaper and free access to wireless high speed internet. We have non-smoking rooms and allow pets with a $10 service fee. We are located near McIntyre Arena, the Porcupine Ski Runners club and Hollinger Golf Course. The Northern College of Applied Arts & Technology and the Kamiskotia Ski Hill are just minutes away. This 49 room/suite and 5-chalet resort & spa is nestled in the majestic beauty and natural serenity of Timmins. Comfortable accommodations, an on-site restaurant, a relaxing day spa with Nordic baths, and full-service conference facilities. Located close to shopping and well equipped to host a range of events. Conveniently located in downtown Timmins, a stay at this hotel feels like coming home. Relax and unwind in one of the newly renovated rooms or suites, each equipped with a fridge, microwave, well designed desk and work area, complete with complimentary high-speed Internet access. Our Timmins hotel is located off Highway 101, minutes from downtown Timmins. Our pet-friendly hotel offers small-town charm and big-time value. Each morning, enjoy a free breakfast. Stay active in our fitness center, unwind in our hot tub and relax in our sauna. 24-hour front desk. Handicapped-accessible and non-smoking rooms are available, and kids 17 and under stay free with an adult. This Inn in Iroquois Falls offers free Wi-Fi, Cell phone boosters throughout the entire building, flatscreen TV with full cable package. Business class rooms, family room, Standard rooms and Jacuzzi room. This Elk Lake guest accommodation is close to Highway 65. It features a full-service bar & lounge, a hot tub and free bike rentals. Guest rooms include free Wi-Fi. Each room offers access to a shared bathroom. Guests at can relax with in-room spa services or play a game of billiards in the lounge area. Dining options are available upon request.